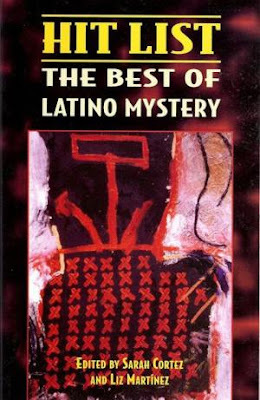 With the newly released "Hit List: The Best of Latino Mystery" (Arte Público Press, $19.95 paperback), editors Sarah Cortez and Liz Martínez have succeeded in bringing together some of the best mystery fiction being written today. This anthology features the work of Mario Acevedo, Lucha Corpi, Sarah Cortez, Carolina García-Aguilera, Alicia Gaspar de Alba, Carlos Hernandez, Rolando Hinojosa-Smith, Bertha Jacobson, John Lantigua, Arthur Muñoz, R. Narvarez, L.M. Quinn, Manuel Ramos, S. Ramos O'Briant, A.E. Roman, Steven Torres and Sergio Troncoso. In the foreword to "Hit List," Ralph E. Rodriguez, an associate professor in the Department of American Civilization at Brown University, observes that the reader "will find no boring Latino caricatures or stereotypes in this volume." There is no doubt about that. The anthology begins with a tightly wound, two-page bit of tough-talking noir by best-selling novelist Mario Acevedo titled "Oh, Yeah." In it, the narrator attempts to teach a seemingly dimwitted accomplice named Canela how to play a supporting role in an armed robbery. 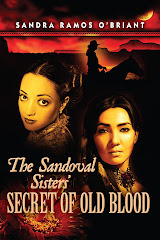 Of course, things go awry, but with a twist only an accomplished writer such as Acevedo could pull off. There's some great humor here, too, such as S. Ramos O'Briant's sardonic "Death, Taxes ... and Worms," where we're introduced to a very proper Nellie Gallegos, who knows a trifle more about the death of her neighbor than she initially admits. Several of the stories veer into wonderfully strange territory. "The Skull of Pancho Villa" by mystery novelist Manuel Ramos is based on various rumors as to the whereabouts of the Mexican revolutionary's head. The narrator, Gus Corral, informs us that the skull ended up in his family and recounts how it gets stolen from his sister's house. If you don't laugh out loud while reading this story, you have no sense of humor. In "Nice Climate, Miami," award-winning author Rolando Hinojosa-Smith, a professor of English at the University of Texas at Austin, brings us an icy killer named O'Hara who is hired to kill a man who has failed to pay a debt. The fact that O'Hara does not appear to have any connection to Chicano or Latino culture is proof that the editors saw no reason to pigeonhole or unduly restrict Latino mystery. Hinojosa-Smith's piece is crisp and smart and fits perfectly in this anthology. But ethnic identity is certainly part of the collection. Sergio Troncoso's "A New York Chicano" involves one Ricky Quintana, an El Paso native who has made it in New York working for Merrill Lynch and who has developed a deep hatred for a bloviating, anti-immigrant host of a television show titled "America's Watch." What Quintana does to appease this hatred proves that he hasn't lost his identity at all. No mystery collection would be complete without a lost soul or two. Alicia Gaspar de Alba's "Short Cut to the Moon" gives us exactly that in a troubled young woman who goes deep into alcoholic homelessness when she believes that her cousin has been murdered. Her search for the truth eventually converges with an understanding of her desperate need for help. Space constraints do not allow for a description of each story in this landmark anthology. Suffice it to say that the stories in "Hit List" will engross, entertain and fully satisfy any lover of mystery fiction. Daniel A. Olivas is the author of four books and editor of "Latinos in Lotusland: An Anthology of Contemporary Southern California Literature" (Bilingual Press). His newest book, "Anywhere but L.A.: Stories" (Bilingual Press), will be published this fall. He shares blogging duties on La Bloga (http://labloga.blogspot.com). His Web site is www.danielolivas.com and he may be reached at olivasdan@aol.com .